Join our new mobile technician or repair shop team and you will have the opportunity to work in our network of truck care centers. Pilot Flying J is the travel center industry leader with over 750 locations and growing and we are growing our shops network across the country. That means we've got huge opportunities for people ready and willing to work hard and grow with us. We are currently hiring mobile tire technicians, diesel mechanics, shop service advisors, managers, certified technicians, and assistant managers. We have the jobs that will become the career you’re looking for. Being part of our team you won’t be just a number. But a pivotal part of our business supporting our professional drivers. Join a growing team with a stable company that provides great benefits! We work hard, own our responsibilities, and take care of our own. Reliable pay matters. At Pilot Flying J you will receive a paycheck every week. Your hard work should be paid fairly. We offer competitive hourly rates. We reward quality hard work. We offer regular bonus and spiff opportunities. Our mobile technician program is brand new. This means we have brand new equipment that you depend on to do your job well. Pilot Flying J offers paid training. 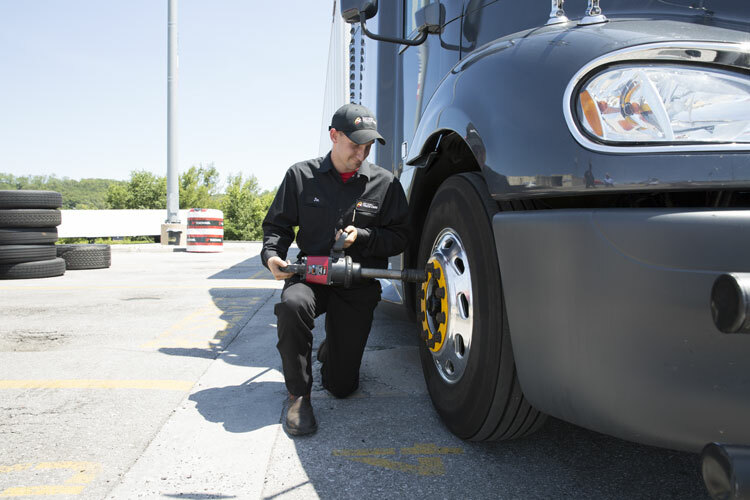 Our Truck Care Centers will train and certify you in TIA Commercial Basic Tire Service. Advancement opportunities for GST, CT1, CT2, CT3, CT4 and as Certified Technicians by obtaining ASE Medium - Heavy Duty T2 - T8 Certifications Tests. We are proud to take care of our team members by providing a great work environment. That starts with the best management team in the industry! As a new team member for Pilot Flying J, I have been given so many options for growth in my career and I have never been so welcomed by a company. Team work and support from corporate office, all the way to the site level, have been essential and consistently offered. I feel at home being a part of Pilot Flying J and our Truck Care department. I find that Pilot Flying J is an outstanding place to work. The environment is professional and upbeat. It seems there is always room to grow. New and exciting things are happening and it's good to be a part of that. Being a Veteran has enabled me with the ability to multitask while remaining fluid and flexible to the ever changing professional driver market.